In the March 7, 2017 Ask The Headhunter Newsletter, a reader questions advice about divulging salary information to recruiters. 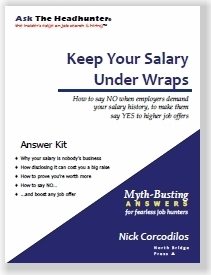 I have your book, Keep Your Salary Under Wraps, about how to avoid telling an employer your salary history. I agree: Disclosing salary hurts your ability to negotiate the best job offer. She says absolutely not, and hundreds of people have posted their comments. Can we hear from another HR expert? I want to know what you say. Is telling a recruiter your salary different from telling an employer? I’m not an HR expert and I’ve never worked in HR — perish the thought. I always worked on the outside as an independent headhunter. According to Liz Ryan’s LinkedIn profile, her experience is in HR, not in independent recruiting or headhunting. That might explain our difference of opinion. I don’t think you should ever disclose your salary history to any employer. (See Should I disclose my salary history?) But that’s not what Ryan’s column is about. What she is recommending is a dangerous whitewash of a more complicated issue. She’s saying you should never disclose your salary to a recruiter or headhunter. The recruiter she’s talking about will earn a fee if you are hired, and also stands to gain tremendously if you’re happy with your job offer and new job. Although the terms are often used interchangeably, to avoid confusion here, when we’re talking about an independent, third-party recruiter, we’ll call that a headhunter. A happy, newly placed candidate refers more great candidates that are worth a lot of money to a good headhunter. Ryan is wrong because a headhunter’s motivation is very different from an employer’s. A good headhunter can use your salary history to help you, not hurt you, in part because the headhunter wants valuable referrals from you after you accept a new job she’s helped you land. A headhunter actually earns a higher fee when your job offer is higher, so she’s motivated to get you the best offer possible without jeopardizing an offer altogether. There’s no good reason to give employers — or their recruiters — your salary history. But the only good reason to tell a headhunter your old salary is if it’s going to help you get a higher job offer. And that’s where Ryan blows it while she bangs the drum to say no. She’s confusing motives, and that’s naïve. There’s more to it. If it’s an employer asking — the hiring manager, the HR manager, the HR recruiter, or the company’s online application form — do not disclose your salary, ever. (a) The headhunter agrees not to disclose it to the employer without your express permission. No exceptions. (b) The headhunter explains how she’s going to use the information for your benefit — and the reason had better be good. If the headhunter can’t pass tests (a) and (b), don’t tell. While a headhunter is paid by the employer and thus has a fiduciary duty to get the best deal for the client, the headhunter is also beholden to you if she wants introductions to more good candidates — and a sterling reputation in the professional community she recruits in. When Ryan says not to disclose salary to a recruiter, what she should be saying is, Walk away from any headhunter you’re not sure you trust. And that means most headhunters that solicit you — because they’re not headhunters. They’re unsavory spammers and telemarketers dialing for dollars. They’ll never do a good job for you. Work only with the best, or don’t work with a headhunter at all. Satisfy yourself that the headhunter is going to optimize your job offer — and, more important, get you in front of the right manager for the right job. Those are the headhunter’s obligations to you. Now let’s discuss what Ryan avoids. Why disclose your salary to a headhunter? What legitimate reasons could a good headhunter possibly have for wanting to know your salary? If it’s me, I want to understand how your career growth and salary growth reflect one another so I can make a good placement — for you and for the client paying my fee. Do I think you’re over-paid? Under-paid? Do I think you’re squandering your abilities for too little money? Is your salary expectation unreasonably anchored by your current salary? How does that affect how you behave in interviews? I’d rather discuss these questions with you before you talk with my client, because it could affect how I advise you to interview and negotiate. 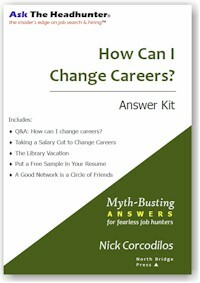 Maybe you’re on the wrong career trajectory. You might be earning at the top of the range for, say, a digital design engineer. If you want to be an R&D engineer, you may have to take a step back in salary to shift to the new career direction. I want to prepare you for that. I don’t want you to get sticker shock after you’ve invested your time in interviews with my client. If you don’t trust a headhunter like you’d trust a doctor when sharing your personal information, then don’t work with that headhunter. If a headhunter isn’t discussing these questions with you, run. I’ll give you an example of when it pays to tell a headhunter your salary. I recruited a candidate who was earning $40,000. I helped him get a 92% salary increase. He was hoping to get a 10% salary bump. After a lot of assessment including talking with his references and having him talk with an industry expert whose opinion I respected, I knew he’d be great for a very different kind of job with my client. If I hadn’t asked for his salary history, he’d have blown the interview, because the job paid over $70,000. His jaw would have dropped if this came up in the meeting with my client, and he’d have betrayed his old salary if only in his body language. My client never would have offered what he was worth. I’d have had no idea, if I didn’t know the candidate’s salary. We had a long talk about how to behave while discussing a job that would almost double his salary. Based on the candidate’s aptitude, I negotiated a $77,000 job offer. My client never batted an eye, and never learned what its new hire had been earning. The candidate and his wife were able to buy their first house. I earned a nice fee — and several great referrals. The new hire performed so well that I got more search assignments. I asked for, and got, the candidate’s salary history — but I never disclosed it. I used it to coach him properly so he could get a better deal. If you’re not satisfied a headhunter is going to work that way with you, hang up the phone or delete her e-mail. A headhunter is not an employer. Different rules apply when a job seeker deals with a headhunter. It’s up to you to understand the differences. That’s why I wrote a 130-page book about How to Work with Headhunters, and how to make headhunters work for you. What I just explained is in the book. Liz Ryan sometimes offers good advice. This time Liz is wrong. She sounds right because she’s being contrarian, but she’s whitewashing a question that requires more insight and discussion. Use the information to your advantage. A good headhunter stands to make a lot of money by helping you get the right job for the best possible salary. And the headhunter’s client never needs to know your old salary. But it’s up to you to draw a line in the sand. Don’t be afraid to say no — and know when to say yes. 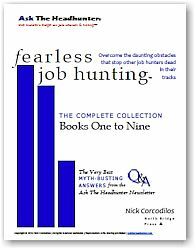 If you don’t know how to separate good headhunters from unsavory ones, check the nine tips in The truth about headhunters. Do you tell recruiters your salary? Why? If you’re not sure why, then don’t do it. 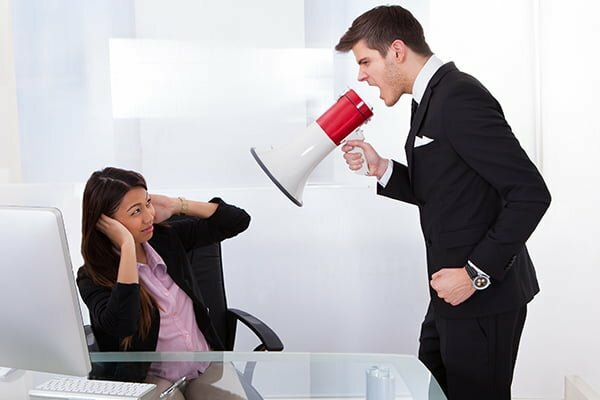 How do you handle headhunters and employers’ own recruiters? How do you keep control of being recruited? I have had experiences with company HR recruiters where providing your previous salary was a condition to continue with the recruitment process. What is your thoughts on this? Look at it this way: If they need your salary to continue, they’re going to use it to cap a job offer. It will kill your negotiating ability, no matter what you think you might do to “talk them higher.” It also tells you they’re incapable of judging value on their own. What does that tell you? Finally, it’s usually some personnel jockey who delivers that line — “No salary, no interview.” Hiring managers are less likely to reject a good candidate over this. And this tells us something else: If you’re facing this “salary roadblock,” you’re probably talking to a grunt who has no idea how to evaluate you for the job. You’re going in the door the wrong way. You must decide for yourself how to handle this. Me — I’d say “sorry, no dice” every time and go talk to hiring managers who really want to work with you to figure out what you’re worth to THEIR job. I agree with this article 100% and I absolutely tell recruiters my rate. In fact, I make them talk about rate before I provide them an updated resume or personal details. Otherwise, we’ll both be wasting time. This has never once been a problem for me. To be honest, I use every recruiter encounter as a chance to try and nudge up my rate and I’ve never had a recruiter rescind their interest in me as a candidate just because they couldn’t provide my “ideal” rate. They finally found you – a viable candidate – and they want to hold onto you as long as they can. The open conversation you can have with a recruiter is refreshing. They don’t get jumpy around compensation like the hiring manager might. You can speak frankly about your strengths and ask for help negotiating any weaknesses or skills gaps you have. Then, like an athlete or actor’s agent, they’ll take your (improved) resume and elevator pitch to the client and sell you on your behalf. @Ian: It’s also a good way to separate good recruiters from the inept. A good recruiter will not pass up a good candidate over salary disclosure. Like the nervous applicant, the recruiter won’t risk it! I am seeing this topic from a slightly different angle. My salary is public record. Anyone can see what I make. A savvy employer can easily look up this information. On the other hand, I know what the job I will be interviewing for in a few weeks is worth and it is easy for me to see if I am being low-balled. If that is the case then I will move on. But before that, I will ask them why are they offering such a low salary for such an important job? 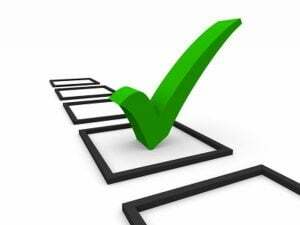 It is good practice not to disclose your salary details but even if it is known to the employer you should be able to negotiate a fair compensation as long as you are confident at what you do and can prove how much of an asset you will be to the new employer. If they can’t see that, move on, the job isn’t right for you. @Tony: Great way to put it. It’s on the candidate to prove his or her worth. However, as you also point out, employers who aren’t interested in that aren’t worth wasting time with. I think the hardest thing for any job applicant is to walk away when they see a real problem — they talk themselves into continuing. Later, when it all blows up, they’re stunned and angry. Question: should you insist on written permission or no? If not, why not? So you have to decide whether you’re going to trust the headhunter. And I think you do that up front. People routinely take calls from headhunters, send in their resume, go on interviews, share personal information — without ever vetting the headhunter! It’s nuts. I think the best way to protect yourself is to check out the headhunter — all headhunters — in advance. Ask them for references when they first contact you. You’ll find most will not provide references. This scares job seekers off. “I’ll lose loads of good opportunities if I ask for references!” Think about that. Really??? If it’s a real opportunity, and it’s a good headhunter, no, you won’t. Most headhunters are tire-kicking, and it’s painfully obvious. Wishful thinking doesn’t change that. So my advice is, get references on the hh, check him or her out. Be polite and professional, but be firm and make it clear you have high standards. And return the same to the hh. Good ones will have good references. Check them and decide, do you trust the headhunter? If you do, you test them with information as you go — without wasting their time — and you make it politely clear that if they don’t do as they say, you’re done. Make sense? This is no different than vetting anything else you do in life. We get screwed and we get angry when we fail to verify people we do business with. Bottom line: The best business people will happily share their references. The rest aren’t worth dealing with. So guess what — most “opportunities” aren’t. 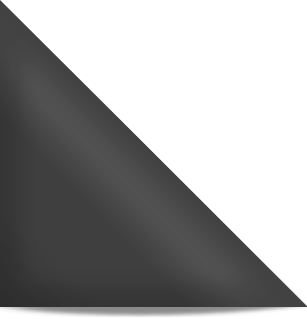 I think your advice is solid, given one caveat – a big one in my mind…. This advice works out well when you have a recruiter/head hunter that knows what they are doing and properly vets their candidates (actually gets a handle on what they know, can effectively talk shop with them, etc.). @Dave: Exactly right. My underlying point is that you have to choose headhunters carefully. 9 out of 10 have no idea what they’re doing. I’m pretty sure I recall his thoughts being something close to “Sounds like a company you don’t need to be working with.” If you really want to deal with them anyway, there are articles here that discuss how to address the HR Machine on the salary question. Your 2 rules are 100% correct. 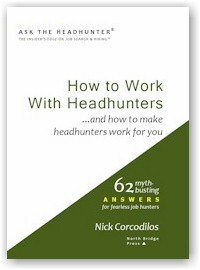 Headhunter: Find me a better paying + perfect-fit position. I never give those scum bags a salary. It is an immediate screening tacit someone will use in the process. I expect a interview first . I’m just curious what kind of jobs you guys have that you are using third party recruiters. I work in the financial industry and I have always just applied directly through my employers’ websites. So there was never any “headhunter” involved. 10 years ago I used headhunters when I was just starting out and looking for temp work until I found a permanent job, but outside of pharma sales reps I’m not sure who would use a headhunter when you can just apply directly with the source?